The Newcastle Juggling Convention is back for 2019! Join your friends in Newcastle in January 2019 on the 25, 26, 27 & 28 for some action pack juggling action. 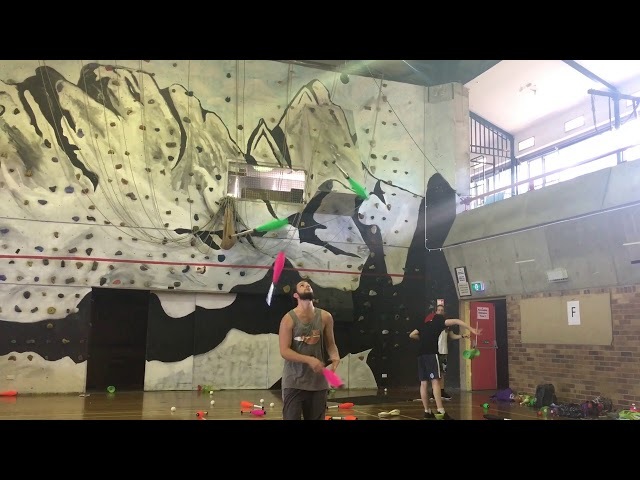 It’s Australia’s only non-stop juggling convention, with at least one venue open 24-hours! 5-minutes from Waratah train station, multiple venues incredible fun. NOTE* Early bird ticket offer ends January 1st. Ticket includes all shows and all 4 days of the event. Our location is 5 minutes walk from Waratah Station. Will there be a public show? Yes! More details to come.